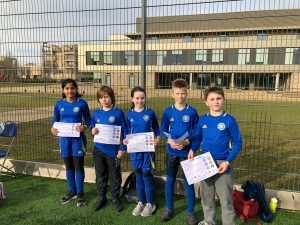 Both competitions took place at the Trumpington Community College. Students from Parkside Federation were ready to umpire the 4-a-side matches, played using a larger and lighter hockey ball. The leaders were brilliant throughout the day. Showing great knowledge of the rules, helpful and enthusiastic. 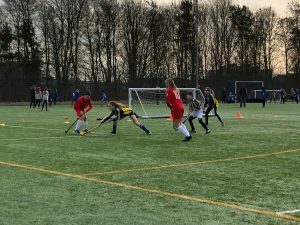 The morning competition was split into 2 pools and the afternoon competition was split into 3 pools, with each team playing each other in a round robin format. 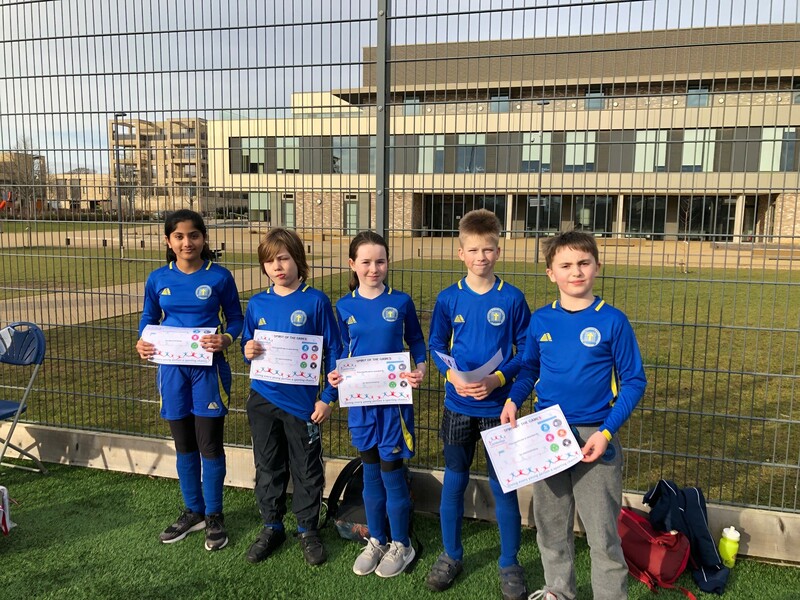 The top two highest scoring teams would qualify for the L3 School Games County Finals in St Ives on Thursday 27th June and represent the Cambridge Partnership. The top three scoring teams from both competitions received medals! 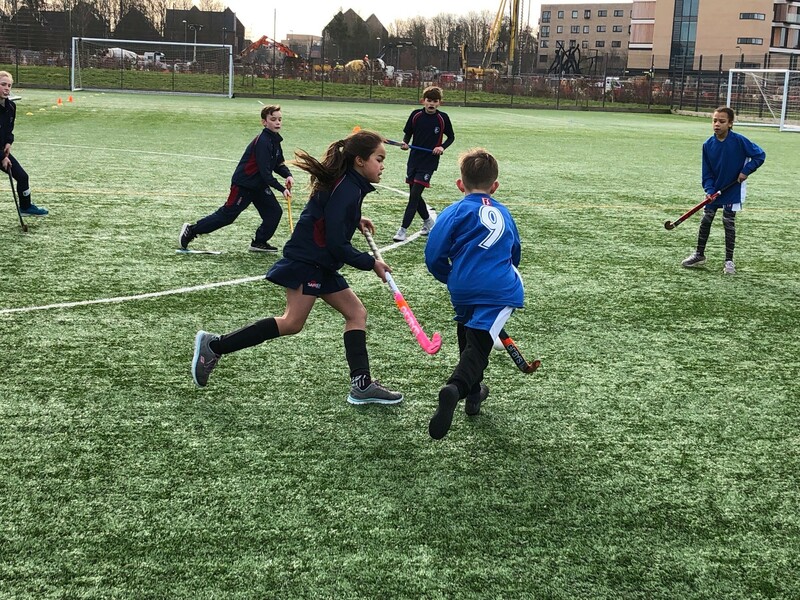 The morning and afternoon competitions displayed some amazing hockey. 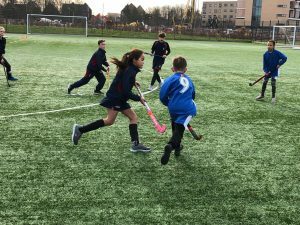 The standard of hockey was excellent from all schools creating entertaining matches. Great sportsmanship was witnessed throughout the day. Schools were focused and creative with their play. 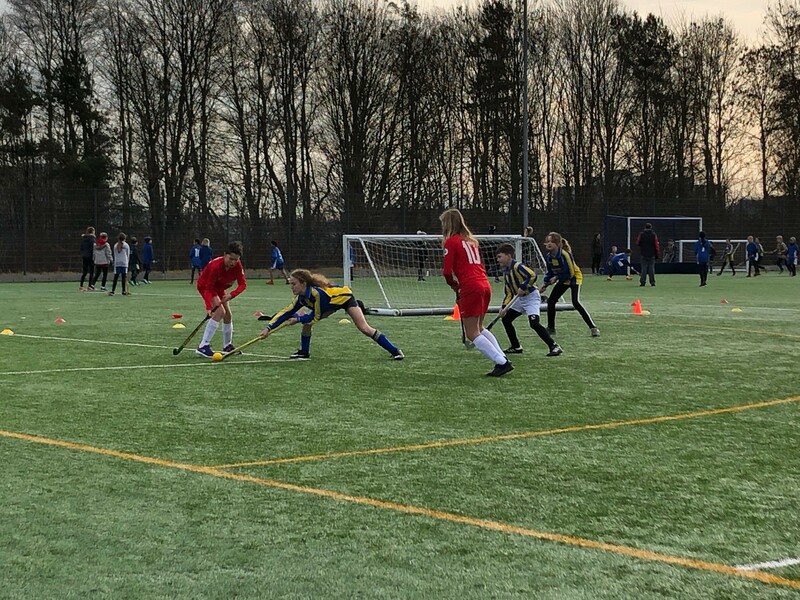 Morning Competition teams: Bottisham A & B, Fen Ditton A & B, Oaks International , Queen Emma A & B, Swaffham Bulbeck A & B, Sancton Wood A & B, Orchard Park. Morning Medal winners: Gold- Swaffham Bulbeck A, Silver- Fen Ditton A, Bronze- Fen Ditton B. 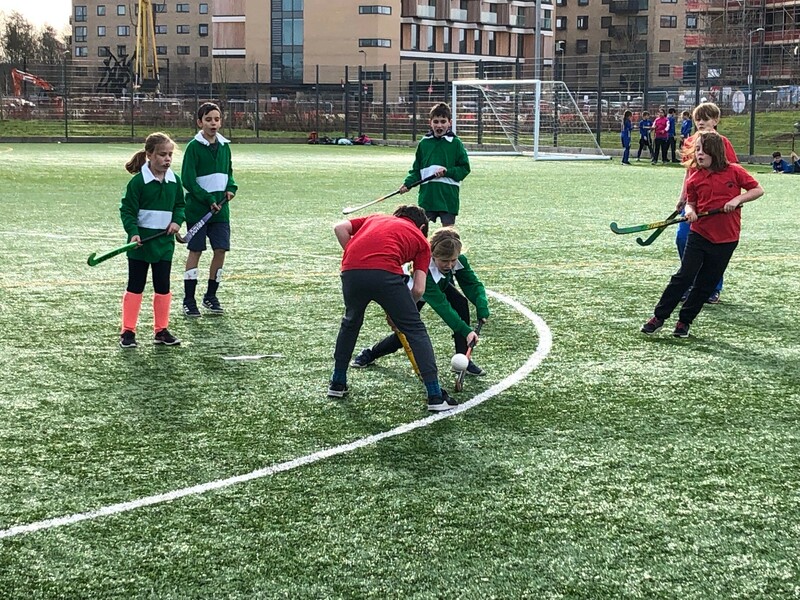 Afternoon Competition teams: Burwell A & B, Colville A & B, Milton Road A & B, St Matthew’s A & B, Great & Little Shelford A & B, The Grove A & B, Queen Edith A & B, St Laurence A & B, St Philip’s A & B, Newnham Croft. Afternoon Medal winners: Gold- St Matthew’s A, Silver- St Matthew’s B, Bronze- Shelford B. At our competitions along with the usual medals we give out, schools are given a set of ‘spirit of the games’ values stickers to reward to children back in school who have best demonstrated the different values. 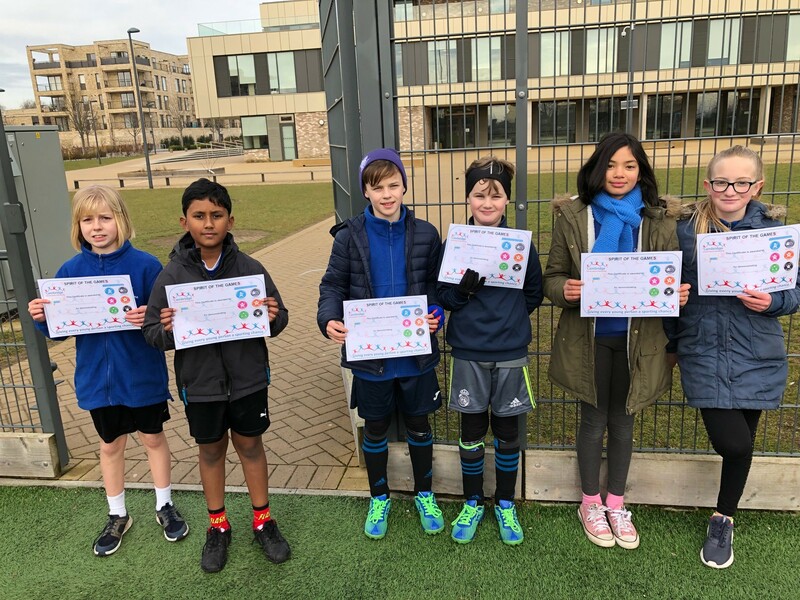 As well as rewarding the winners and runners up at each of our competitions we will also be recognising the team/school that has shown good sportsmanship and best demonstrated these sporting values and they will be presented a ‘Spirit of the Games’ award. The morning Competition saw Queen Emma B team receiving the certificate for Respect and the afternoon was received by St Laurence A team.